We are excited announce that coming in Fall of 2019, St. Louis Metro will be opening a mission house which will also serve as a retreat center. At our last Executive Board Meeting, our pastors voted unanimously to begin the first stages of construction. 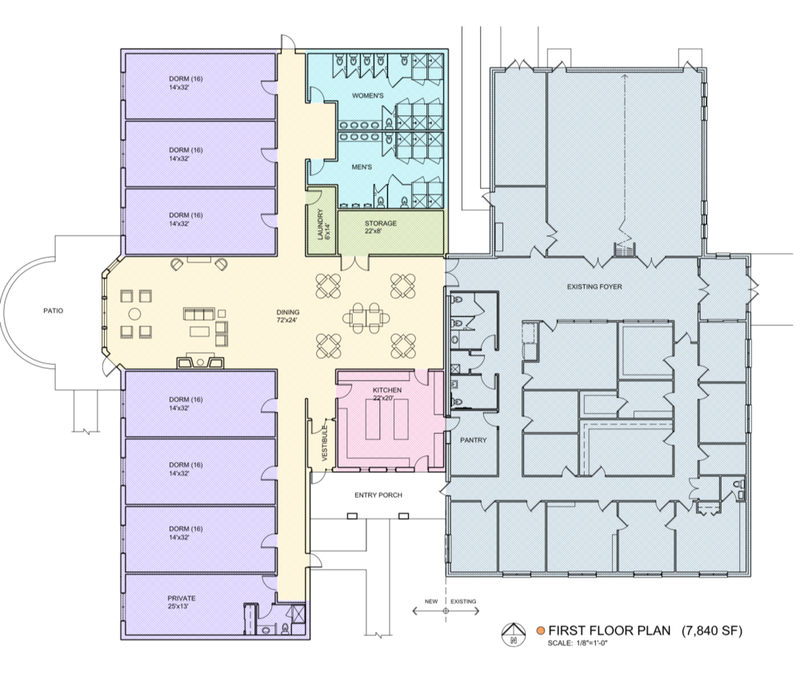 Attached to our current space, it will be a state-of-the-art mission house with nearly 8000 square feet of space, sleep up to 100 people, complete with showers and a commercial kitchen. Each year, the SLMBA fields requests from mission teams and agencies all over the country, representing hundreds of volunteers looking to serve in Saint Louis. We are extremely excited and looking forward to providing this opportunity for those who will come to serve the churches in our city.